We’ve all heard that the best type of love comes with no strings attached. The idea that we might come to love someone (usually a significant other) so intensely that we can forgive them all of their faults is a popular one in our cultural mythos. That being said, few people would encourage you to overlook any and every wrong a loved one has ever committed for the sake of your relationship; unconditional attachment is generally not a healthy choice, especially if your partner’s behavior is disrespectful or makes you uncomfortable. 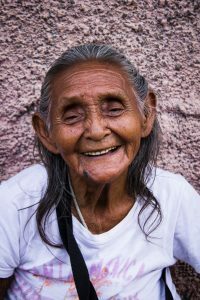 Yet there actually are situations where unconditional love can play a positive role in our psychological health—they just tend to involve caregivers rather than significant others. 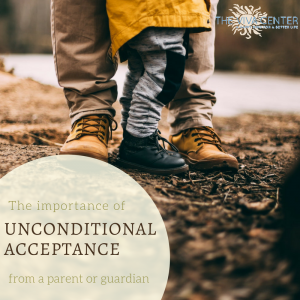 Unconditional acceptance and love, commonly referred to as “Unconditional Positive Regard” UCPR/UPR), from our parents and caregivers has a huge impact on how we view ourselves throughout our lives. UCPR occurs when when a person is told they are loved, accepted, and respected no matter what they think, do, or say. Giving UCPR is not the same as telling someone that you like and encourage their behavior no matter what it is—rather, it involves letting them know that even when they make mistakes, you still accept them for who they are. The term “UCPR” was coined by the famous psychologist Carl Rogers. According to Rogers, caregiver feedback influences the development of our “self-concept,” or how we perceive ourselves. This is particularly important in childhood, when our views of ourselves are first developing. One can imagine how a child’s evolving self-concept ties into UCPR; if we make a mistake but see that our parent still accepts us, we learn that it’s normal to make errors and that individual actions don’t make us unworthy of love. Contrastingly, if we face dramatic rejection every time we make mess up, we learn that we only deserve love if our behavior meets our caregiver’s wants. Of course, it’s unrealistic for any parent to dole out constant approval. Yet making our love and praise conditional on positive behavior has adverse consequences. A 2009 study examined adolescents and asked them about the manner in which their parents regarded and reacted to their behavior. 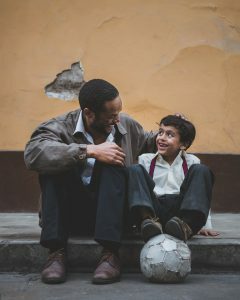 They looked at several types of parenting, including Conditional Negative Regard (when parents consistently attach negative connotations and reactions to behaviors they deem to be undesirable, i.e. punishing unwanted behavior), and Conditional Positive Regard (when parents only show their children affection upon their performance of the behaviors and attitudes that they consider to be “good”). The study found that both Conditional Negative Regard and Conditional Positive Regard can have undesirable effects on a teenagers’ psyche. Subjects who reported receiving Conditional Negative Regard displayed an inability to cope with negative emotions, poor academic performance, and resentment towards their parents. Meanwhile, those who reported receiving Conditional Positive Regard displayed high levels of emotional suppression and pressured behavior. In contrast, UCPR has been associated with improved attitudes, motivation, and enjoyment of life, and decreased disciplinary issues. The appeal of this method is easy to understand; how, then, can we incorporate it into our relationships? Dr. Sharie Stines recommends connecting with the person with whom you would like to cultivate UCPR in a way that is not contingent on success. For a parent, this might look like taking your child out for ice cream or telling them you’re proud of them not because they got good grades or made the basketball team, but because you care. This way, they’ll learn that your love for them isn’t dependent on them achieving certain goals or displaying “perfect” behavior. Rather, it is a result of their essential personhood and existence. Meanwhile, the Harley Center suggests that those who wish to engage in UCPR try to avoid black-and-white thinking when it comes to analyzing “right” and “wrong” behavior. When we judge other people’s actions as being entirely right or wrong, we overlook the complexities of their situation. For example, I might tell a child that it’s wrong to lie, but there are situations in which that child might feel they have to lie in order to prevent another “bad” thing from happening, like someone’s feelings being hurt. If I make an effort to understand why the child might choose to lie rather than labeling the action “right” or “wrong,” I can better understand and communicate with them. For those who have not had the benefit of receiving UCPR from parental figures, there are ways to improve your self-concept. To this end, the Harley Center recommends practicing self-compassion—the next time you’re tempted to criticize yourself, instead try speaking to yourself as you would speak to a loved one. Chances are that you’d be much less hard on them, and more understanding. Additionally, you can apply the first two ideas—engaging in a way that isn’t contingent with success, and avoiding black and white thinking—to yourself. Treat yourself to a day of relaxation or a trip to the massage parlor just because you value your own happiness. When you think of one of your behaviors as being “bad” or “wrong,” consider that the situation is more nuanced than that, and that morality has many shades of grey. Looking for more ideas? We’d love to converse with you on social media or have one of our experienced therapists answer your questions via email. Simply contact us at info@vivapartnership.com to chat more.